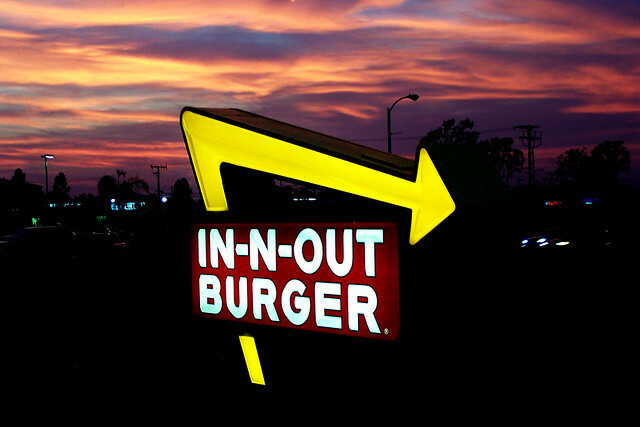 In case you needed to know, In-n-Out burgers are the best fast food burgers on the planet. Somehow I failed to make a stop there last week when I was in Los Angeles #travelfail. I did get the chance to see family and meet a few amazing colleagues #travelwin. I also found a parking place (thank you parking angel) and had a perfectly stress free trip #doubledouble. that I got to spend a little time with my brother and family. for new cast iron and a giddy griller … always better than In-n-Out. This Starbucks ad has captured my imagination lately – personally and professionally. Most people are tied – knowingly or unknowingly – to daily rituals. We lose track of how much time we spend in a prescribed pattern of behavior – day in and day out – and we become quite attached to the predictability of that experience despite losing sight of the wonder of unpredictability. I love to design experiences, and I simultaneously love and hate daily rituals because while they are so embraced, they can blind us to the magic of the universe. for the peace of my daily rituals (and for a little break from them as well). for the chance to do what I truly love and share my insights and passions with others. for the people that come to listen – week after week – are kind to each other and share of themselves, make me laugh, and leave me feeling better than when I started. 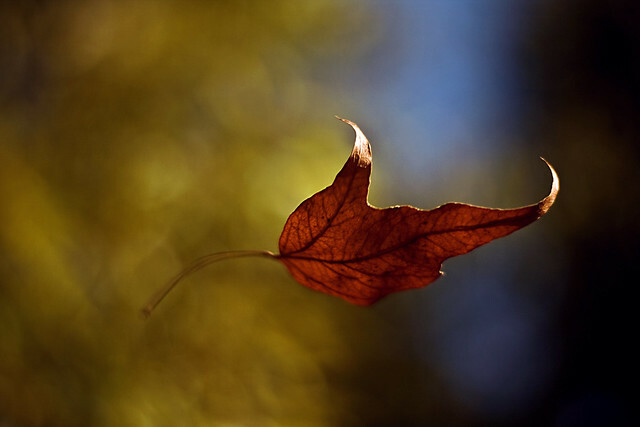 I think the transformation of a leaf – from soft and thriving green, to yellow, then to red or orange, and finally to crisp and brown – is wondrous. Some of my favorite childhood memories are running through piles of leaves, chased by my dog. bits of yellow peering from the green canopy in our backyard. the brightest blue sky that showed up yesterday. the magic of chicken soup. My entire life I have been trained to work toward a goal. My life, my job, my every action, my every belief, my every day has been focused on being “successful”, delivering “the product”, getting across the “finish line” or even just getting through the day. When you are keeping your “eyes on the prize” you miss the entire journey. You trample the spring flowers. You curse the rain. You feel guilty when you miss a deadline, but not a birthday. You work weekends and holidays. You eat dinner in front of a computer, lunch in conference rooms and breakfast from a bag in your car. You fall blind to all that life has to offer – the small pleasures. for the day I finally started this blog. for the journey of recovering from being a task-master and becoming a journey-master. for the familiar sounds of home.